Today I want to talk to you all about something I am very excited for! Tyler and I are planning on moving home! We moved a couple hours away from where our family is for college, even though we initially planned on staying up here for a few more years we decided that it was about time to find a place towards our family. 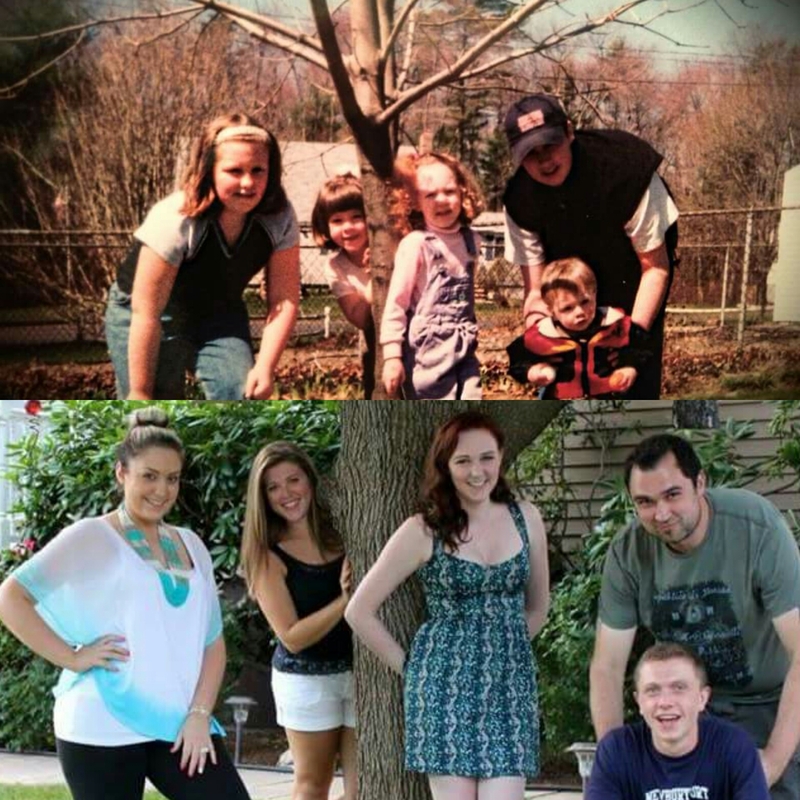 I grew up extremely close to my family and Tyler did too! Although we were close enough to make it home for holidays and birthdays it will be so nice to reconnect with everyone on a daily basis! For all my fellow instagramers we all know today is “Transformation Tuesday” which makes me think of all the times my family was there for me throughout my life! The picture below is one of my favorite pictures! It reminds me of how time really does fly and how much life you share with people. The people in this picture are some of my cousins. We have all gone through different things but have each other to lean on! This is my generation of family we will grow old together and experience even more together as time moves on! You have heard a lot about many different members of my family! One person who I would like to talk to you all about is my cousin Kyle! Kyle is the youngest in my generation, Kyle is one of the kindest people you will ever meet! He is caring and funny. He is always fun to be around and a great friend. Kyle is one of those people with a contagious personality! It is impossible to be around him and not be laughing and enjoying life! I wish everyone could share this same personality and joy. It would make the world a happier and cheerful place! Filled with humor and kindness! I hope you all value your family and never forget what they’ve done for you! Never forget where you’ve come from and the people who have made you who you are. My husband is in the military and I miss my family all the time. I would certainly move closer to home if I could! You are making a good decision! Good luck on your move. First thank you too you and your husband for your service! My dad was a marine so my parents experienced a situation very close to yours! Thank you for all the well wishes and support, I wish you and your family all the best!